Dark Ink Blue Metallic 2008 Ford Edge Limited FWD 6-Speed Automatic Duratec 3.5L V6 SUNROOF/MOONROOF, LOCAL TRADE, 20`` Premium Chrome-Clad Aluminum Wheels, a 68 Amp Upgraded Battery for those cold mornings, Class II Receiver Hitch, Class II Trailer Tow/Prep Package, Engine Oil Cooler, GVWR: 5,300 lb Payload Package, Interior Appearance Package, Larger Radiator, Order Code 120A, Premium Leather-Trimmed Bucket Seats, Steering Wheel/Shifter Knob Contrast Red Stitching, Upgraded Cooling Fans, Wiring Harness w/4-Pin Connector. Recent Arrival! Odometer is 9084 miles below market average! 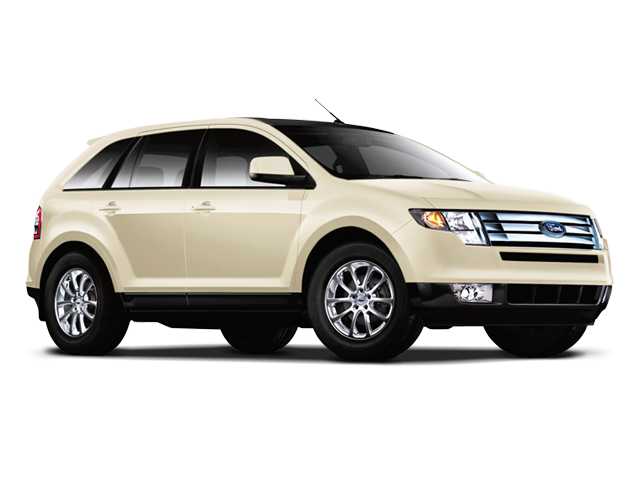 Hello, I would like more information about the 2008 Ford Edge, stock# HI3492A. Hello, I would like to see more pictures of the 2008 Ford Edge, stock# HI3492A. Ready to drive this 2008 Ford Edge? Let us know below when you are coming in, and we'll get it ready for you.